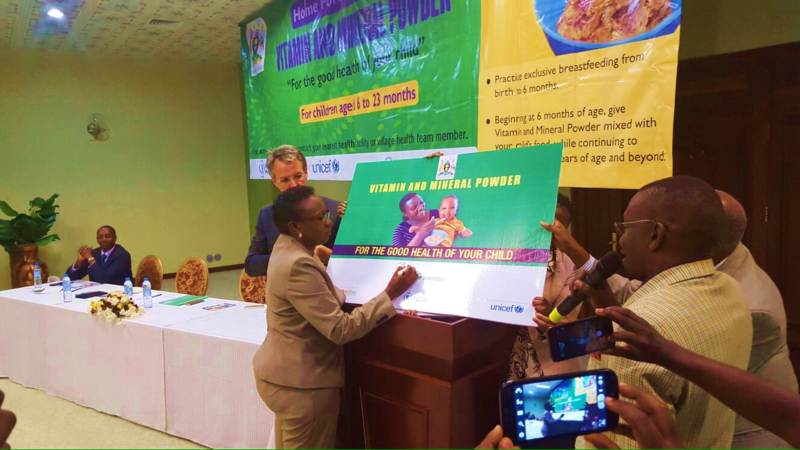 Recently, Dr. Jane Aceng, the Director General Health Services, launched the home fortification program in Uganda at the Imperial Royale Hotel in Kampala. The new program follows the National Infant and Young Child Feeding Guidelines by addressing micronutrient deficiencies, including anemia. The program is jointly funded by SPRING, UNICEF, and WFP in collaboration with the Ugandan Ministry of Health and will initially be rolled out in eight districts. 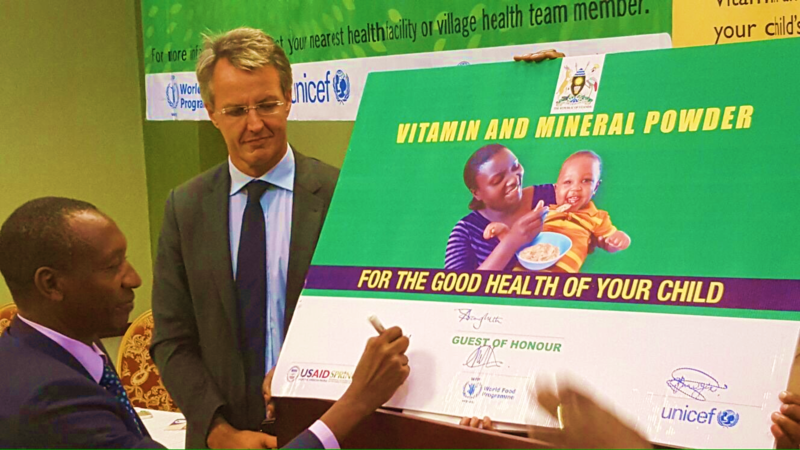 Because Uganda has an anemia rate as high as 63.8% among children 6 to 23 months in some places, micronutrient deficiencies are a large public health concern. 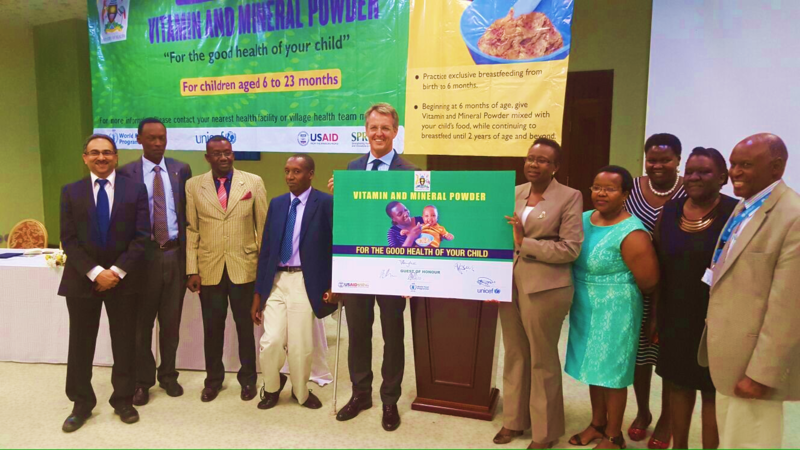 The government of Uganda is promoting home food fortification as one of the strategies to combat these deficiencies. “There is a realization that micronutrient malnutrition contributes substantially to the global burden of disease,” noted Dr. Winyi Kaboyo, the Acting Commissioner Community Health from the Ministry of Health. 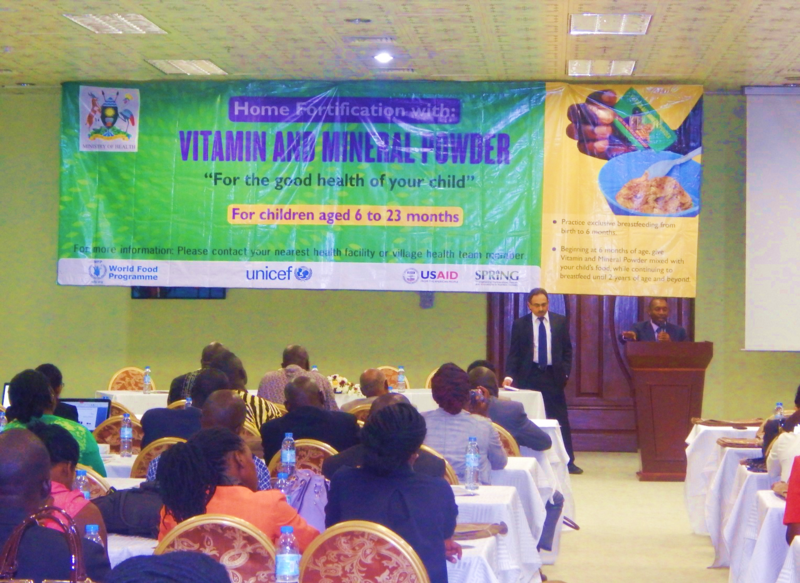 At the launch, the SPRING/Uganda Chief of Party Mr. Manohar Shenoy noted that Namutumba District will be piloting two distribution arms for micronutrient powders (MNPs) through Village Health Team members in the community and through health facilities. In Namutumba District, over 10,000 children will benefit from the initiative. These two distribution approaches will help the Ugandan Government determine the cost effectiveness and efficiency of each option. Dr. Alfred Boyo, the Nutrition and Child Health Specialist at USAID, committed USAID support and pointed out that the introduction of MNPs is a good opportunity to improve infant and young child feeding (IYCF) more broadly in Uganda. He also said that with the Uganda Nutrition Action Plan and the Second National Development Plan, the government is beginning to prioritize and plan for nutrition. Mr. Michael Dunford, the Country Representative of World Food Programme, said that the initial distribution in the Eastern part of country received an overwhelmingly positive response from the families. The beneficiaries reported that the introduction of MNPs has enhanced their understanding and appreciation of the required IYCF practices.